Posted August 16, 2017 by Caroline Preece & filed under Features, Lists, Previews. 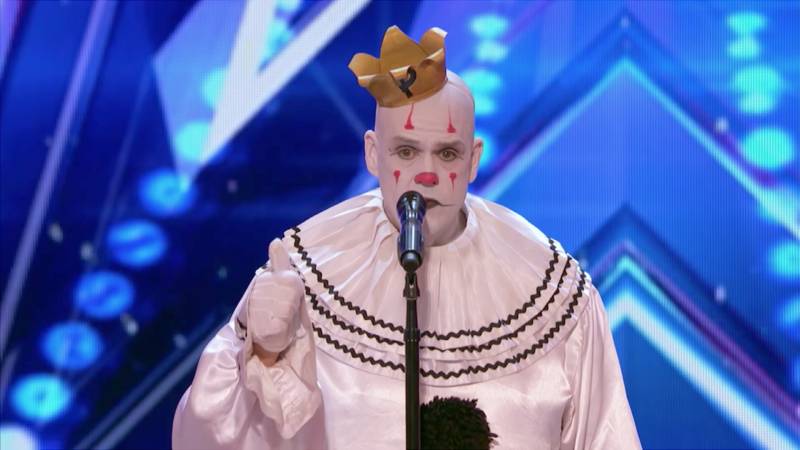 From singing clowns to people being buried alive, there’s never a dull moment during the America’s Got Talent auditions process. But now that the judges have made their final selections, it’s almost time for the live shows, which arrive on truTV in the UK next week. Which act will rise to the top of the 36 finalists, and win the $1,000,000 prize in the process? We have some ideas, and have assembled our ten favourites below. Let us know why we’re right/wrong in the comments. Despite the discipline falling out of fashion, there’s thankfully always a ventriloquist or two who pop up on talent shows like AGT. 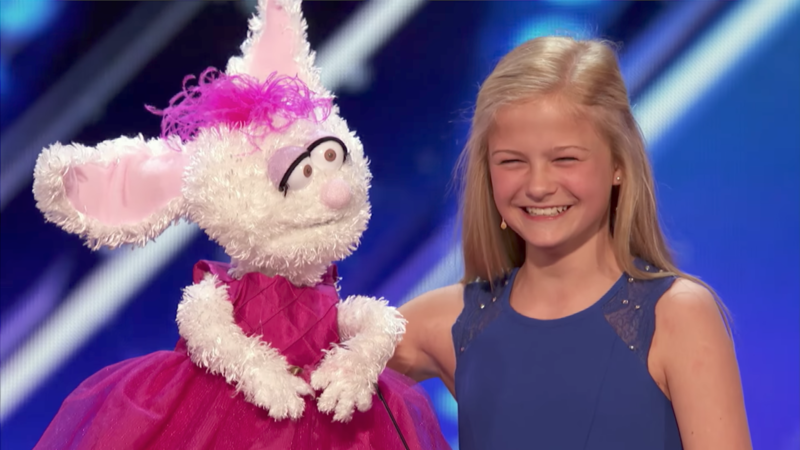 This year’s is 12-year-old Darci Lynne, who has not only proven herself talented at throwing her voice, but can also belt out a tune via puppet Petunia. 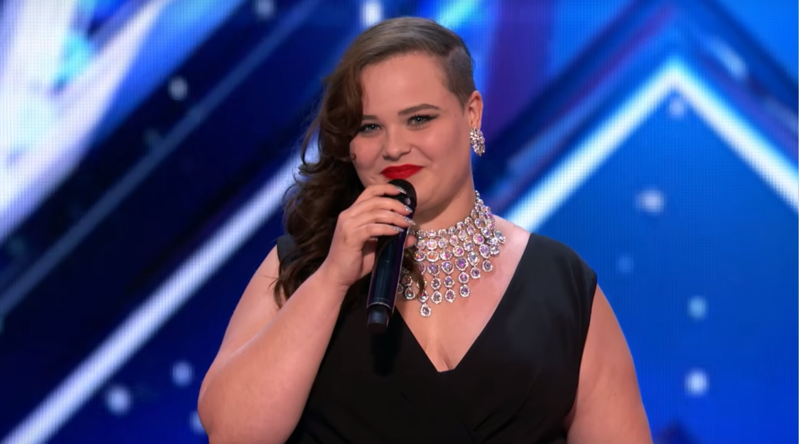 A note-perfect performance of George Gershwin’s ‘Summertime’ got her the golden buzzer and through to live finals. These two may not have stood out so much after their first audition, but the sight of Emily holding only onto her brother’s beard as he spun her around in the air was more than enough to get them through to the quarterfinals. The element of danger that the show needs, mixed with the skills and grace we can see in the performances, makes them one to watch. Yoli Mayor is a singer with maturity beyond her years but, unlike a lot of big-voiced auditionees who almost exclusively come on stage with a version of ‘Feeling Good’, she endeared herself to the audience with her openness about insecurities and a gorgeous version of Rihanna’s ‘Love on the Brain’. Simon must have agreed with us, because he stopped her from singing another go-to, Jay Hawkins’ ‘I Put a Spell on You’ and prompted her to instead attempt a more age-appropriate Ed Sheeran song. 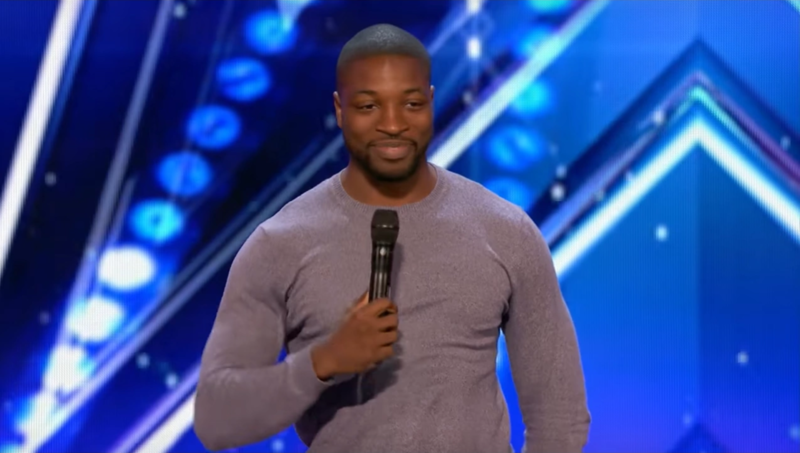 His comedy might not be for everyone, but Preacher Lawson certainly has what the judges dubbed Star Quality at his second audition. That said, stand-ups traditionally do badly once it’s time for the American public to start voting for the favourites, but at the very least Lawson will be able to build on this considerable platform once the show is over. Or we could be entirely wrong – let’s wait and see. 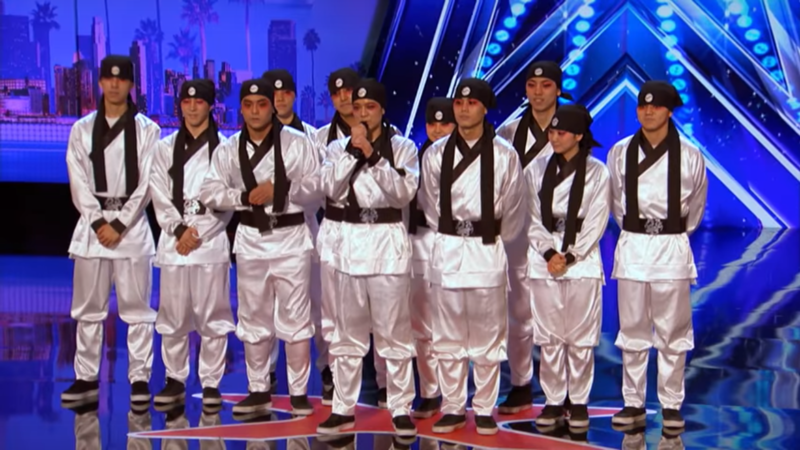 A dance crew with so much precision that they make Britain’s Got Talent alums Flawless look, well, flawed, Just Jerk are by far the strongest dance act on the show this year. Hailing from South Korea, the group have a lot at stake due to the impending military service for many of their members, but their chances are looking good if their first two auditions are anything to go by. 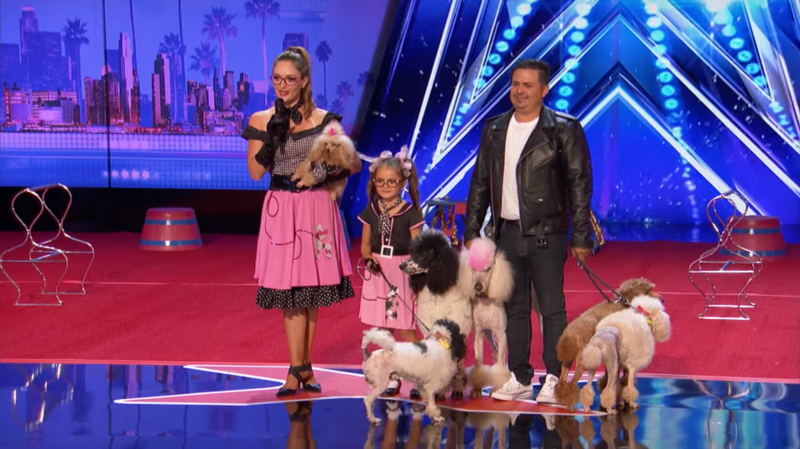 We all know how Simon Cowell loves a dancing dog, and the Pompeyo family and their collection of badly-groomed poodles won him and us over with their impressive acrobat skills. Husband Jorge previously worked as an acrobat, flying trapeze artists, high-wire walker and animal trainer – though with tigers rather than dogs – and his wife was a gymnast and acrobat. After they had their first child, the couple decided to use their skills to create a very unique dog act. 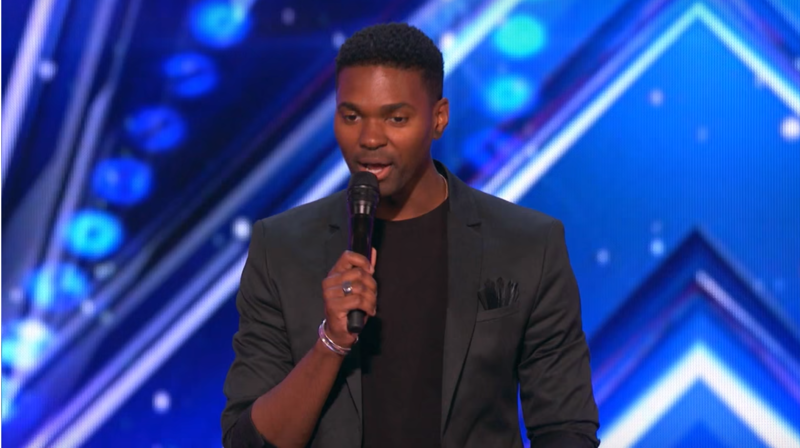 Johnny Manuel may have slipped up a little in his second audition by attempting to better idol Stevie Wonder at a Stevie Wonder tune, but his first rendition of Whitney Houston’s ‘I Have Nothing’ was strong enough that Simon asked the 32-year-old to recreate it for guest judge Seal. While there are many, many singers in the competition, Manuel sets himself apart simply by how long he’s worked since he was dropped from his record label at 17-years-old. 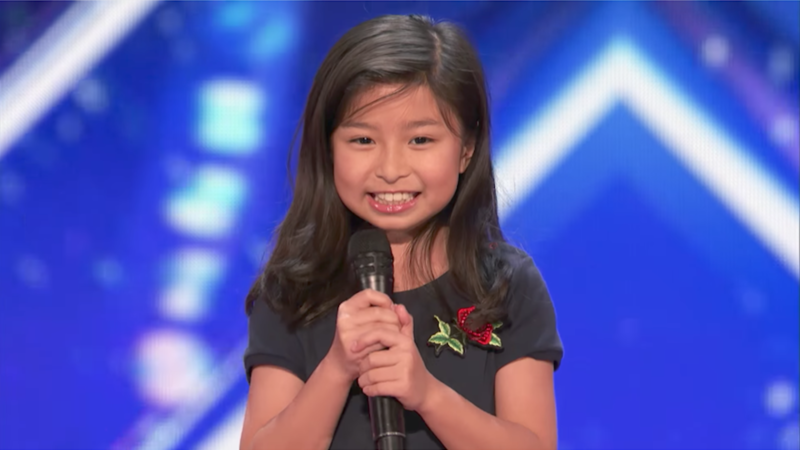 No matter what happens, Celine wins the award for cutest 9-year-old in this year’s competition, and that’s saying something when the auditions were practically overflowing with them. Memorable for her parents’ naming of their children Celine and Dione, she also has a showstopping voice you can’t quite believe would come out of someone so tiny. Another adorable kid, Merrick Hanna has a unique take on hip-hop dance styles. The best thing he does is tell stories through his routines, in which he plays a sad robot who justs wants to be a real boy. 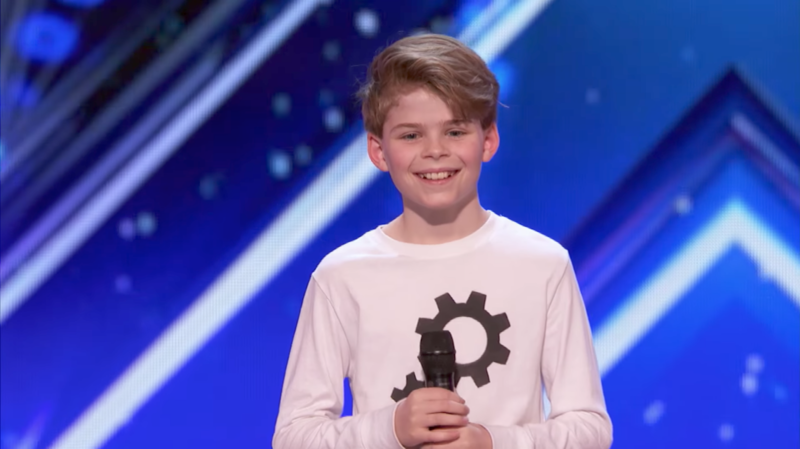 His age won’t allow him to do this so effectively forever, but at a mere 12-years-old, he’s managed to elevate the art-form both technically and emotionally. This writer’s personal favourite, Puddles the clown may not have a chance in hell of winning the competition, but he hits on something quite profound that transcends the format every time he gets up on stage. Sad and unspeaking at all times except when he’s singing, Puddles comes alive when he is asked to expose his soul to the crowd through music. Watching this act, it’s hard not to feel comforted. America’s Got Talent’s first live show will air on Tuesday 22 August in the UK.